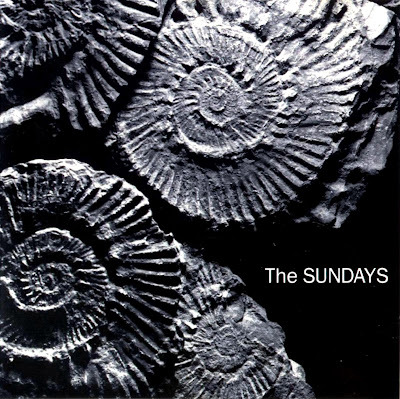 It was so long ago that I can't remember when I first heard them, but I know it was the track "Here's Where The Story Ends" that initially made me fall in love with alternative British band The Sundays. It must have been around the time of the song's release in 1990, since they hadn't yet released their next album. But I do remember being captivated by Harriet Wheeler's delicately high-pitched voice. It was soft, soothing, and at the same time, unusually strong, as exemplified on the song "Hideous Towns". Wheeler has always been the main focus for most fans, but the band couldn't be better fit. Their style had been developing with each of their albums, but they haven't released anything new since 1997…so where are they? The Sundays were formed by David Gavurin (guitars) and Harriet Wheeler (vocals), the band's main songwriters, in the late 1980s. To complete the band, they enlisted schoolmates Patrick Hannan (drums), and Paul Brindley (bass). Since 1990, they've released three studio albums: Reading, Writing & Arithmetic (1990), Blind (1992), and Static & Silence (1997). Debut album: "Reading, Writing & Arithmetic"
Their debut Reading, Writing & Arithmetic could easily be describe as their most energetic album. The use of dynamics and echoic guitar riffs drive the majority of the tracks. 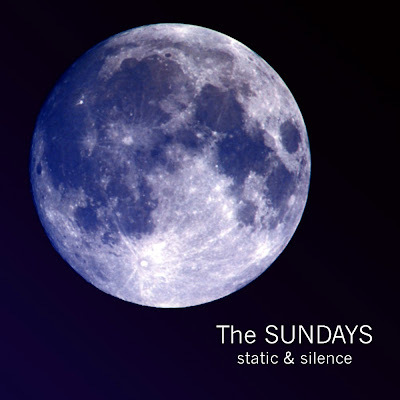 The Sundays are known for their lead singer's angelic voice, but this album, especially, showcases David Gavurin's excellent and underrated guitar playing, as well as Patrick Hannan's drumming. And of course, Wheeler's voice is as charming and playful as always. The album feels experimental and challenging for its time. Nowadays you can hear other indie artists borrowing from Reading, Writing & Arithmetic. 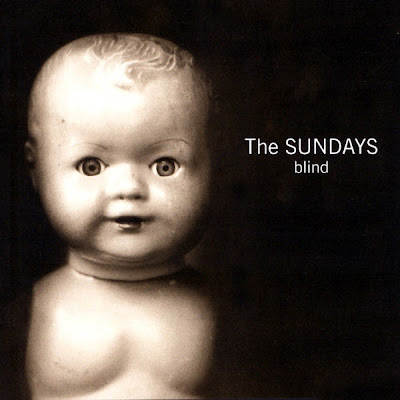 It's my favorite album cover of theirs, and contains one of my all time favorite Sundays track, "What Do You Think?". But I personally would place Blind as third place in their three current releases. It's not a bad album, mind you. In fact it's a collection of incredible music, but it feels restrained at times and was perhaps a bit rushed into production. Some of the tracks feel a little underdeveloped which make the album suffer, but individual tracks such as "Goodbye", "24 Hours", and "Love" are beautifully written, and exactly what one would hope for in a Sundays song. Their cover of The Rolling Stones' "Wild Horses" is unexpected and shockingly delightful. I was excited to first hear it when it was used for a Budweiser commercial back in the early 90s. Static & Silence showed off the band's musical growth and folk influences. When it was released I was in awe of how mature the band had become, leaving behind their early-90's electric guitar riffs and expanding their sound with the use of horns, orchestration, acoustic guitars, and stronger production. They also utilized more layering than previous material, creating a vaster soundscape. It's my personal favorite Sundays album, as it showcased a band with an ever-growing style. It also has a timeless feel. Whereas their previous albums had a distinct 80s/90s sound, Static & Silence sounds like it could have been released today. After a few weeks of its release, I had come to appreciate it with every listen. It had made me curious as to the direction of their next album, one that I'm still waiting for. Sadly, it appears that the wait may never end. After the release of Static & Silence, Wheeler and Gavurin decided to take a break to raise their children. It's now been over fifteen years since new material has been released, and since they have often strayed from the limelight, it's hard to know what they are doing these days. They don't even have an official website, Facebook page, Twitter account, etc. Whether or not Wheeler and Gavurin ever decide to come out of their hiatus, the music they've made is cherished by fans, acclaimed by critics, and applauded by other bands. They've been covered by other artists and have influenced a generation. I hope I won't have to wait much longer for more music by this enigmatic band. For more information on The Sundays, visit Wikipedia. TRIVIA: Bassist Paul Brindley co-founded the company MusicAlly which publishes updates on digital music and provides analyses on how technology is changing the entertainment industry.